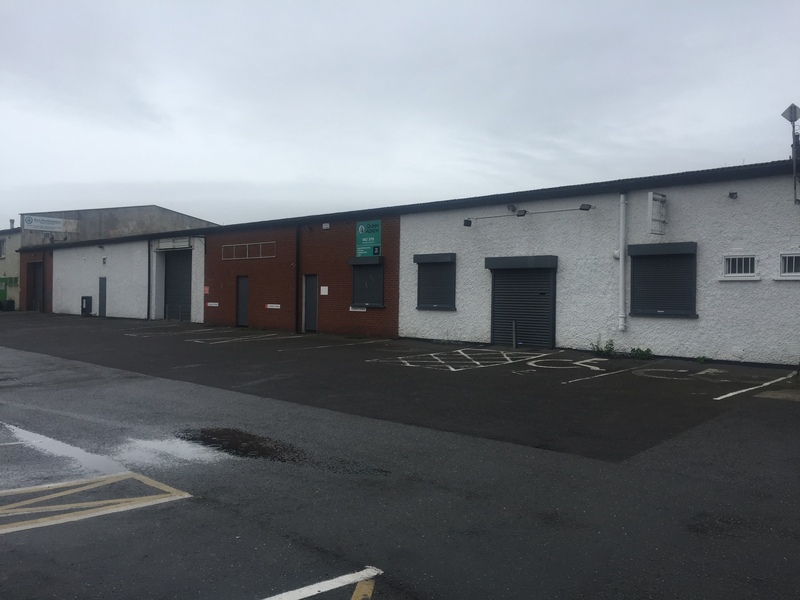 Situated within Ballymount Industrial Estate, Ballymount Drive in Block B. 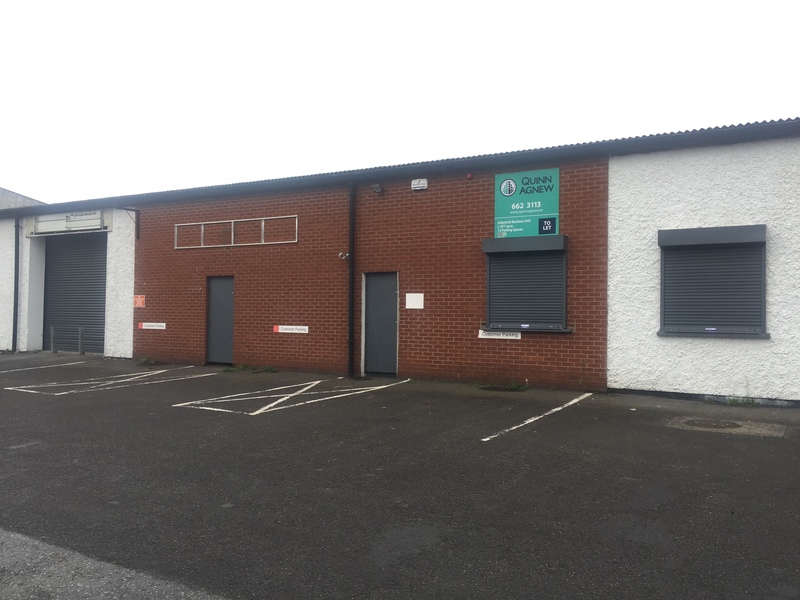 Located c.8 km from Dublin City Centre and c.1 km from the M50 motorway. 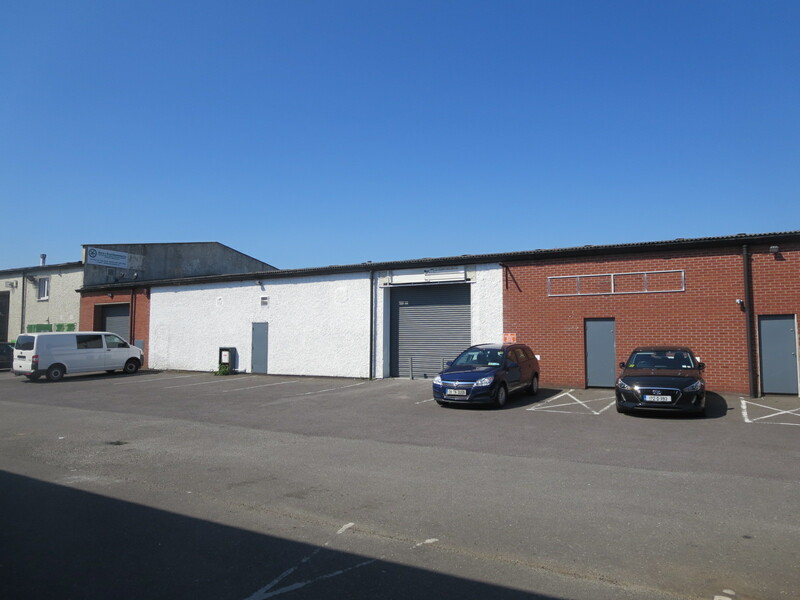 The estate comprises a mix of business’s and light industrial units. 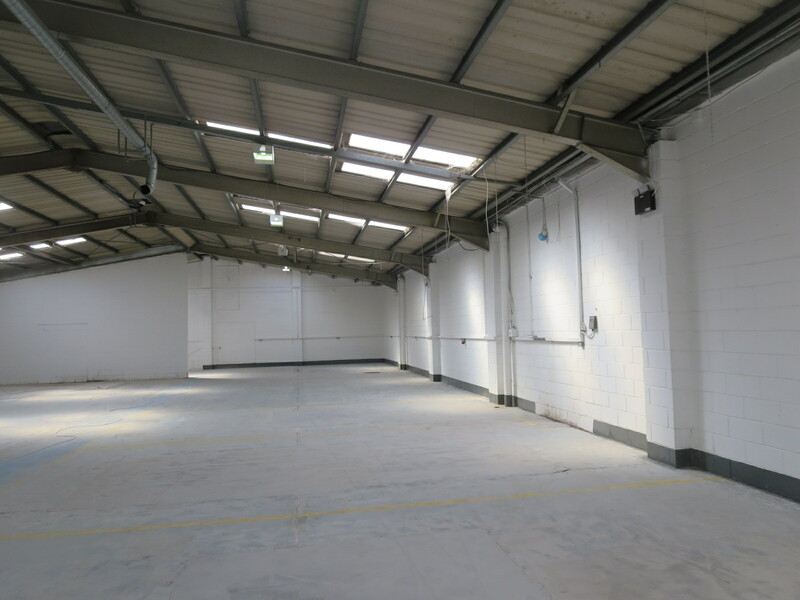 The property comprises a mid-terrace business unit of portal frame construction with full height concrete block party walls. The roof benefits from new translucent light panels. 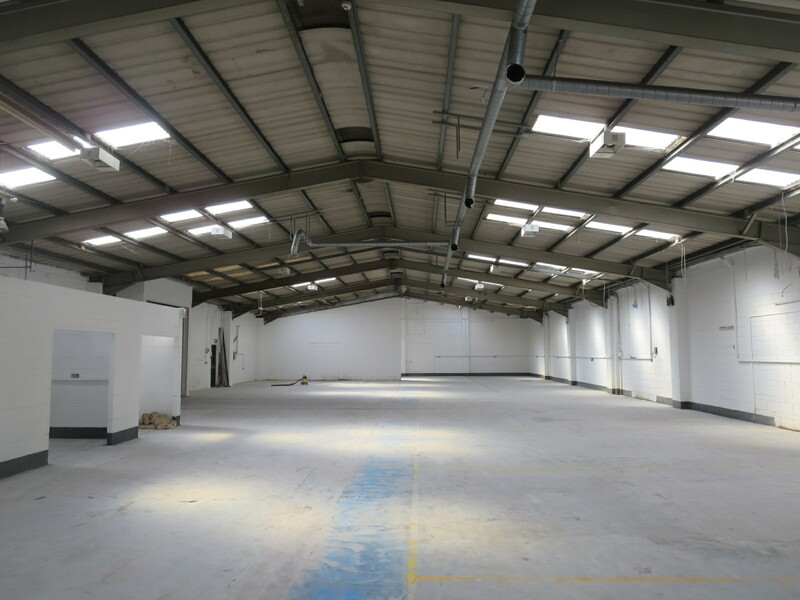 Halogen lighting is provided in the warehouse area. 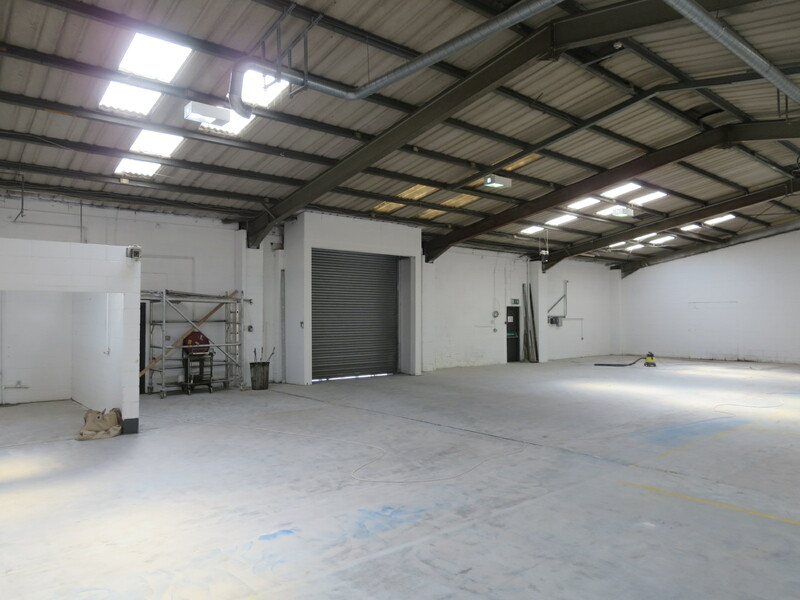 The property comprises a large warehouse component. 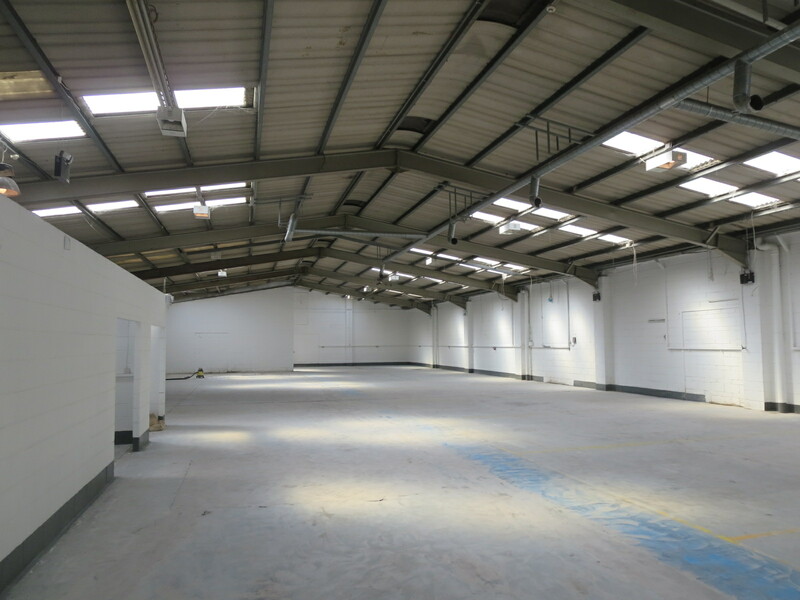 The reception area walls are plastered and painted with suspended acoustic tiled ceiling tiles and recessed lighting with tiled flooring. 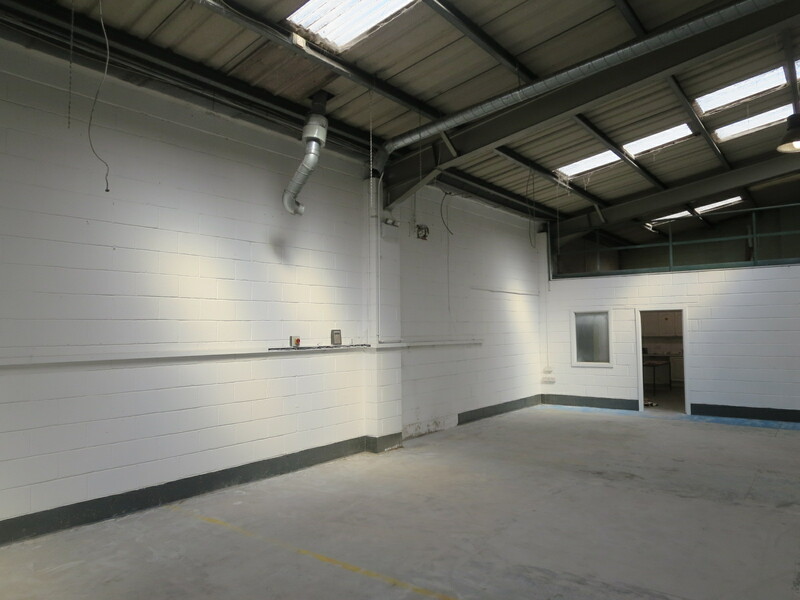 The reception provides access to the warehouse, trade counters/offices, coms room, visitor kitchenette and customer bathroom. 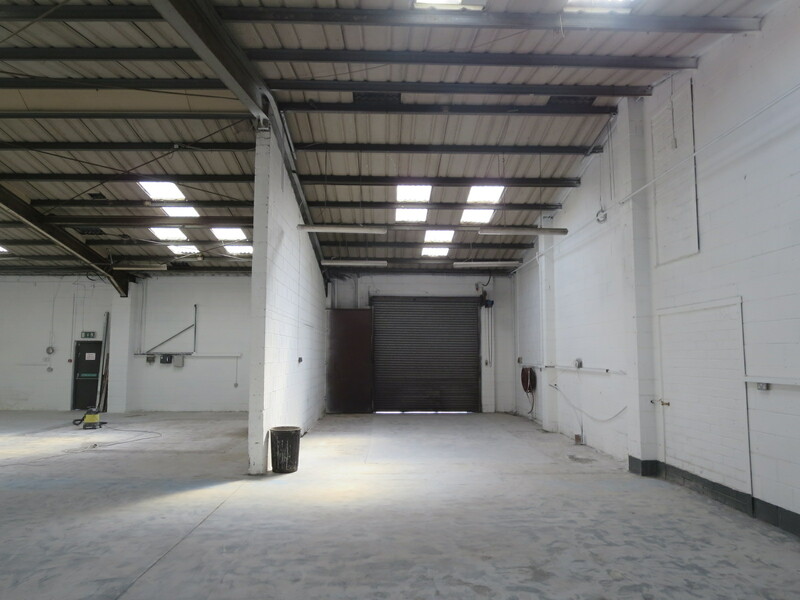 The warehouse benefits from dual access/ loadings, with two roller shutter doors to the front of the unit. 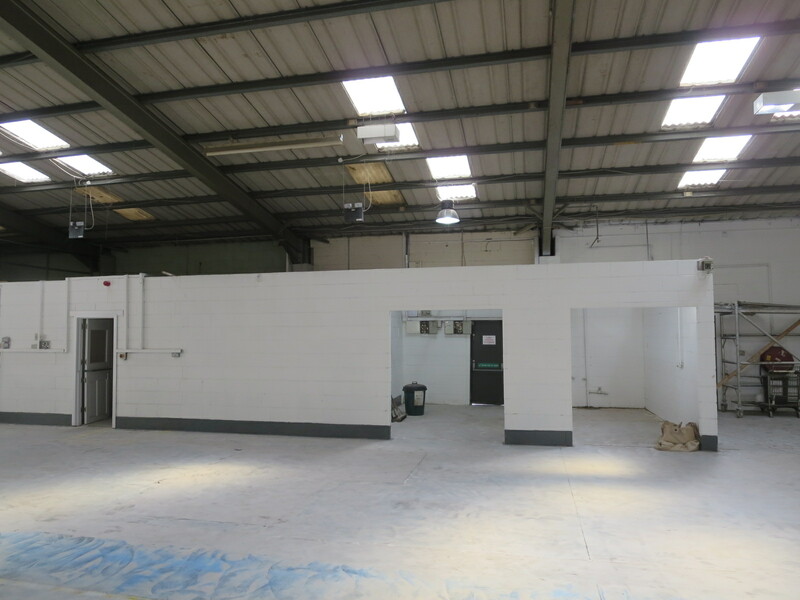 Staff welfare area includes kitchen, changing room, staff WC and shower room. 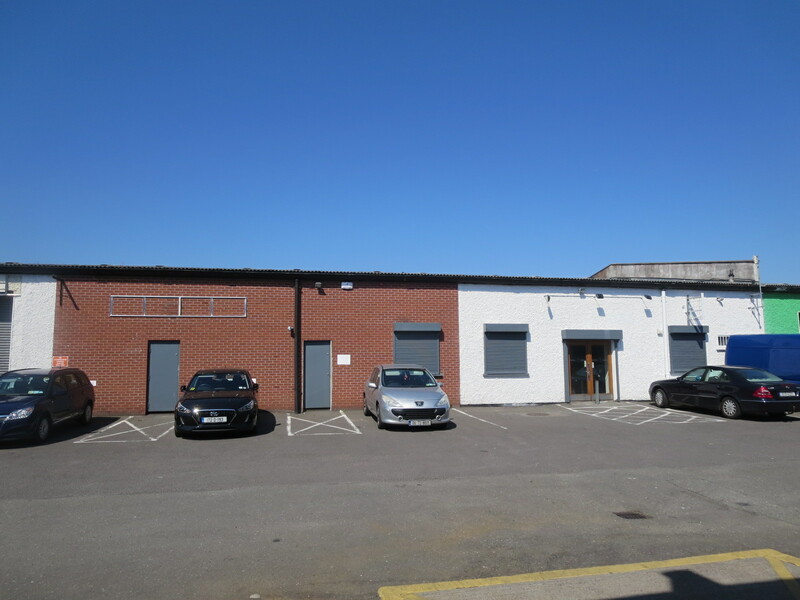 In addition, there is secure parking to the front of the property for c.12 cars. 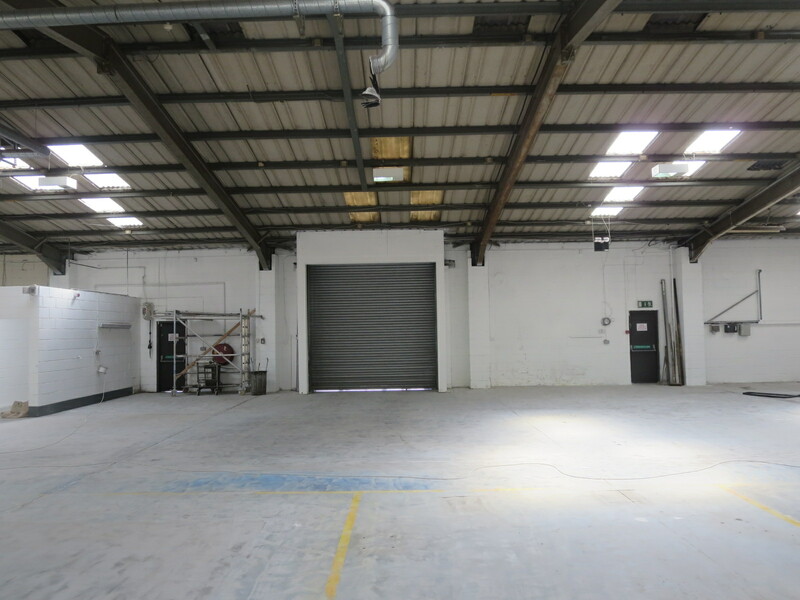 Rates payable for 2018 c. €8,700.